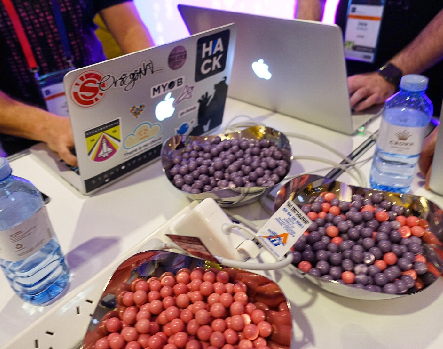 Fuelled by curiosity and pink and purple chocolate balls, some of the brightest minds in the Australian tech space set about revolutionising the accounting industry. 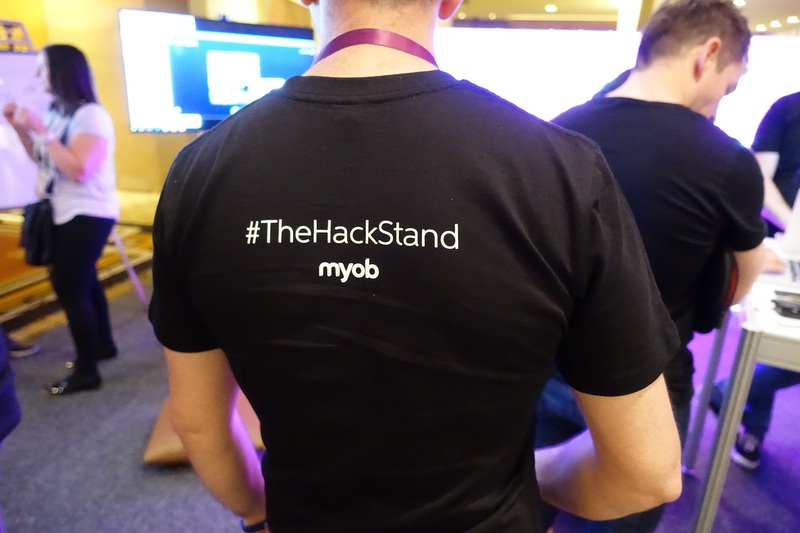 At last week’s Accountants Technology Showcase Australia (ATSA) conference MYOB held a hackathon, something which hasn’t been done in the accountancy space before. Internal hackathons are used around the world to innovate – set up as a kind of mad-dash sprint for software developers to come up with the coolest ideas in a short amount of time. While we have plenty of ideas, we wanted the accountancy community to come to the party and play a leading role in the technological development of the industry. So before the event, we put out the call for your ideas – and you didn’t disappoint. We took the best five ideas generated by you to the conference, and our CEO Tim Reed presented them to the ATSA masses. After a vote, the top three ideas were developed over the two-day event – and that’s where the magic kicked in. MYOB brought along 15 members of our product development team to help work on the ideas, with back-up available from our Richmond crew. 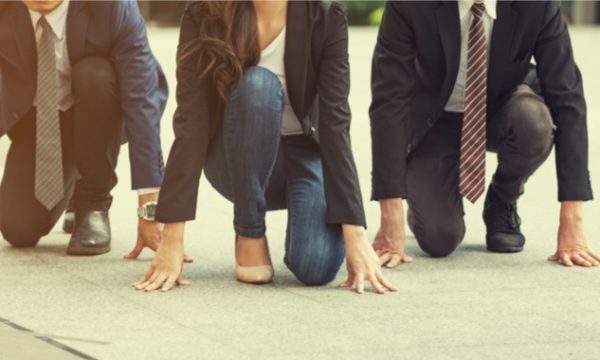 They split into three teams of five and then got working under the guidance of User Experience whiz Jimmy Keogh, Product Manager extraordinaire James Rowland, and fellow Product Manager virtuoso Andy Taylor. Keogh’s team was working on an idea around how to make mobile authentication easier. The idea was that users could sign a document on the go by using a phone number instead of an email address, and also allow the user to sign a document using Apple’s fingerprint scanner. Anything to lower the barriers to mobile authentication while maintaining robust levels of security is a good thing. Rowland’s team was working on GST reconciliation, automating GST workpapers by pulling GST data directly from the ATO and online accounting software. We used MYOB AccountRight Live as the software. Finally, Taylor’s team worked on notice of assessment and how this could automatically be reconciled against each client. The team worked on a new API which would reconcile the notice of assessment against the client, compare it to the estimate, and if it was within a defined threshold send it off to the client. The hack teams worked feverishly throughout the two days, developing products in real time, fuelled by a bold curiosity to see where the ideas led – as well as their body weight in candy. Importantly, they were also fuelled by something more than sugar and curiosity: your ideas. MYOB has noticed that the accountancy profession is full of ideas about how to innovate and use technology to make business life easier. It’s a vision we share, so the chance to bring your ideas to life in an exciting hackathon was thrilling for our team. At the end of the two days, our chief technology adviser Simon Raik-Allen put the three developed ideas to the masses once more to pick a winner. Keogh’s team took the title – the vision to make mobile authentication simpler struck a chord. Our teams worked damn hard, but the success of the day hinged on your ideas – so thank you. While ATSA was just two days, we’re always open to suggestions about how we can develop tools and ideas to make business life easier. As an organisation, MYOB not only wants to develop intelligent tools, but also to involve you in the very development of the tools. It’s why we’ve embraced an agile product development mindset, which involves releasing new products to the market more regularly and getting you involved in how we can make those products better. At every step of the product development cycle, the user is at the heart of everything we do. It’s why we’re always keen to hear your ideas on what you’d like to see and how we could be delivering better. So please do get in touch about your ideas today.